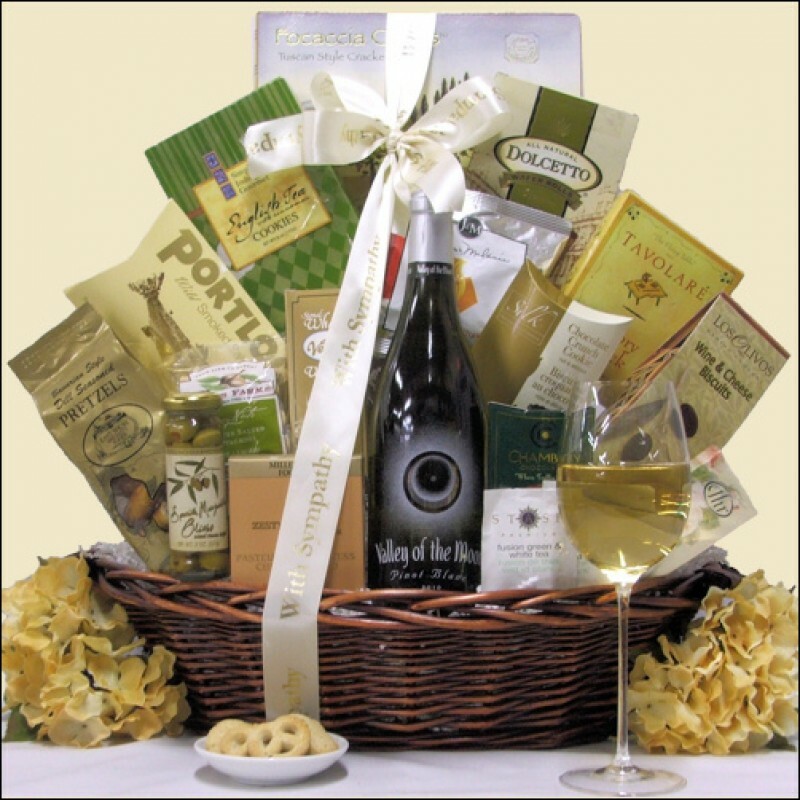 If you want to send a gift that offers a message of condolence, this sympathy wine gift basket is an excellent choice. The lovely assortment centers on the pear and mango notes of a bottle of Valley of the Moon Pinot Blanc from Sonoma County, California, and features a selection of gourmet foods and more. The gifts include smoked salmon, Spanish olives, wine biscuits, gourmet cheeses, crackers, cookies, chocolates and other treats to show your sentiments. ...elegantly arranged in an Oval Dark Stained Gift Basket with Side Handles hand-tied with ''With Sympathy'' ribbon.